Biscayne Bay Yacht Club Promotes the art of sailing on Biscayne Bay, since its founding The Club has planned, conducted and or participated in virtually all the outstanding sailing races in South Florida. Throughout the year BBYC Regatta Committee conducts Sunburn Regatta, Lime Cup Annual Offshore Race, Matheson-Keely and the International Etchells Series. If registering for a Regatta or to find out information of upcoming Regattas please click on the link below. 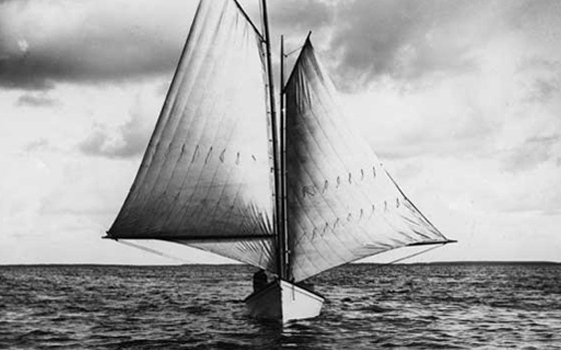 In early February 1887, a resident of Coconut Grove by the name of Kirk Munroe, a writer of boys’ stories, thought that a boat race on Biscayne Bay would be a wonderful way to celebrate Washington’s Birthday. This was the scenario from which the Biscayne Bay Yacht Club evolved.